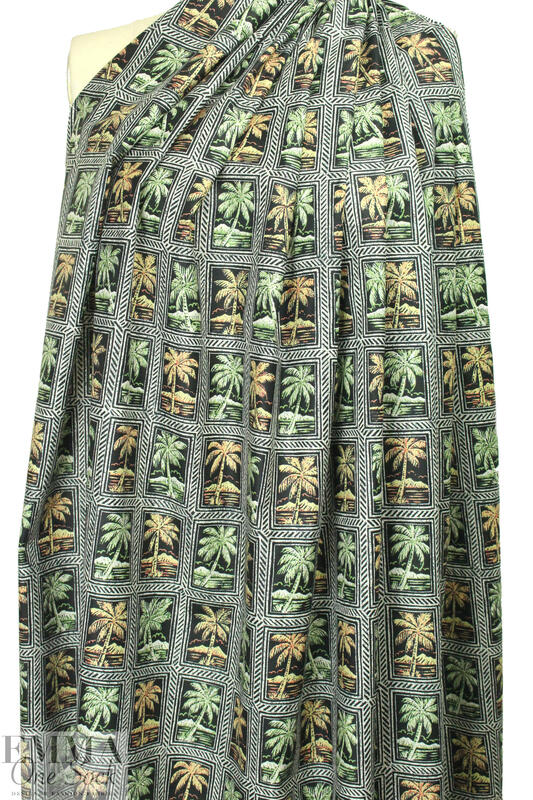 From T0ri Richard, designer of resort wear for men and women, comes this lovely cotton lawn! Both the fabric and the printing are done at a Japanese mill, and the quality is consistent and beautiful. It is lightweight with a tight weave, so it's opaque with a cottony drape that has some body. 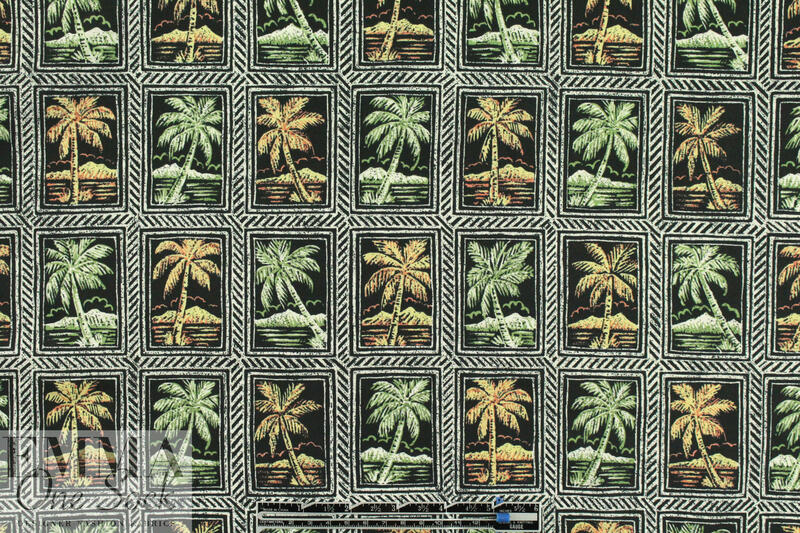 This "breezy palms" print has a 6" repeat and features tones of soft green, orange lemon white and tinted black (PANTONE 15-6316, 15-1327, 12-0720, etc.). 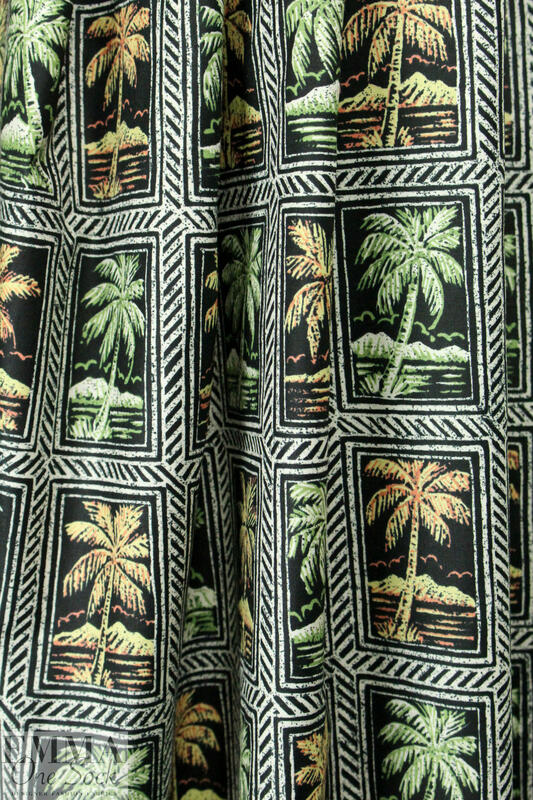 Great for shirts and blouses, tops, tunics, etc. Machine wash cold, delicate. Do not bleach, hang to dry.